New Appointment Bolsters Leadership Team on Heels of Another Strong Fiscal Quarter. I’ve worked with Nasuni as a partner for many years at Cleversafe and IBM, and have always been impressed by the people, the technology, and the opportunity. 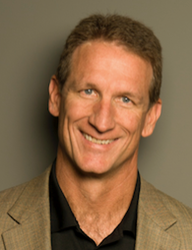 Nasuni, the leading provider of cloud-scale enterprise file services, today announced that former IBM Cloud executive Russ Kennedy has joined the company as Chief Product Officer. Kennedy was previously Senior Vice President of Product Strategy and Customer Solutions at object storage innovator Cleversafe from 2011 through its acquisition by IBM He spent the last two years at IBM helping integrate Cleversafe, now IBM Cloud Object Storage, into the IBM Cloud and Storage Systems businesses. In his new role, Kennedy will help shape Nasuni’s product strategy, while working closely with IBM and other strategic cloud partners to meet growing customer demand for Nasuni’s cloud-resident global file system. Kennedy’s appointment comes on the heels of another strong fiscal quarter for Nasuni, as enterprises look for a more scalable and cost-effective way to manage the exponential growth of unstructured data. Nasuni’s capacity under management has more than tripled in the first nine months of 2017 due to best-in-class subscription renewal rates, improvements in sales and marketing productivity and new customer wins in manufacturing, architecture, construction, consumer brands and pharmaceuticals, both in the US and internationally. The positive results continue the trend that led Nasuni to raise a $38M growth equity round earlier this year from Goldman Sachs. Kennedy has a long track record of success making innovative storage technologies mainstream, both in customer-facing and internal engineering and product management roles. At Cleversafe, Kennedy was instrumental in helping elevate object storage to its current place as a widely-used storage technology. Earlier in his career, he held various leadership positions in product management and development at StorageTek, Sun, and Pillar Data Systems. Nasuni (“NAS Unified”) is transforming the way enterprises store, share, protect, and manage fast-growing file data. Powered by Nasuni UniFS®, the first global file system as scalable as the cloud itself, Nasuni’s hybrid cloud file services platform combines the limitless capacity, geo-redundancy, and low cost of object storage with the security, performance, and flexibility of local file servers. By using Nasuni and their preferred cloud provider for Network Attached Storage (NAS) consolidation, multi-site file collaboration, archiving, and data analytics, Nasuni customers are meeting global growth, workforce productivity, and “cloud-first” objectives, while also realizing massive IT cost savings. Nasuni is a privately held company based in Boston, Mass. For more information, visit http://www.nasuni.com.